Expand search to view more listings in and around Tigard. See more offices in and around Tigard. We have 1 exceptional office building, situated in a highly sought after Tigard, OR location. These offices suites are available on flexible contracts with the option for immediate access and all the business services you need, without the hassle of a long term conventional office space lease. Offices.net offers companies of any size a simple, quick and affordable way to rent temporary office space in Tigard. Numerous office buildings we list have services like manned receptions, fast internet connectivity and telephones. This can help remove the usual time-consuming process involved in setting up a conventional office, and let you focus on what you do best. Each office on our site has a page dedicated to it, which lists many of the features offered by each building. Click on any of the offices shown above to find out more about them, and if anything you need isn't obvious we invite you to contact us and ask. Select any of the offices for rent on this page. 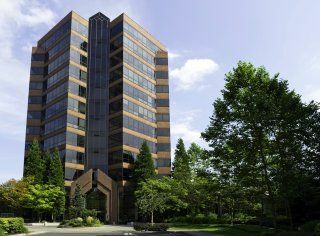 The Tigard executive office suites and offices for rent on our website are situated in good business locations and are offered on flexible terms, allowing you to rent office space for whatever period you need. Just contact us using the contact details above and we'll be happy to give you some buildings in and around Tigard.